Excerpt, W. Herbert, “Translations from the Italian, Spanish, Portugal, etc.” London: 1806. Fernando De Herrera was born in Seville about 1510. Little is known of the circumstances of his life. He appears to have been an ecclesiastic, but of what rank is not recorded. He is spoken of as an excellent scholar in Latin, and of having a moderate knowledge of Greek. He read the best authors in the modern languages, and studied profoundly the Castilian, of which he became a distinguished master. 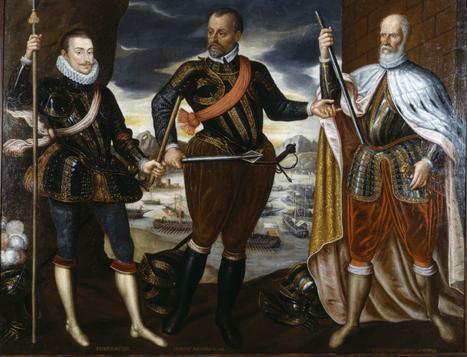 On 7 October 1571, Don John of Austria, son of the Emperor Charles V, commanding the navies of the Pope and the Emperor, together with the navies of Spain and Venice, defeated a much larger Turkish navy off the coast of Greece at a place now called Naupactos. 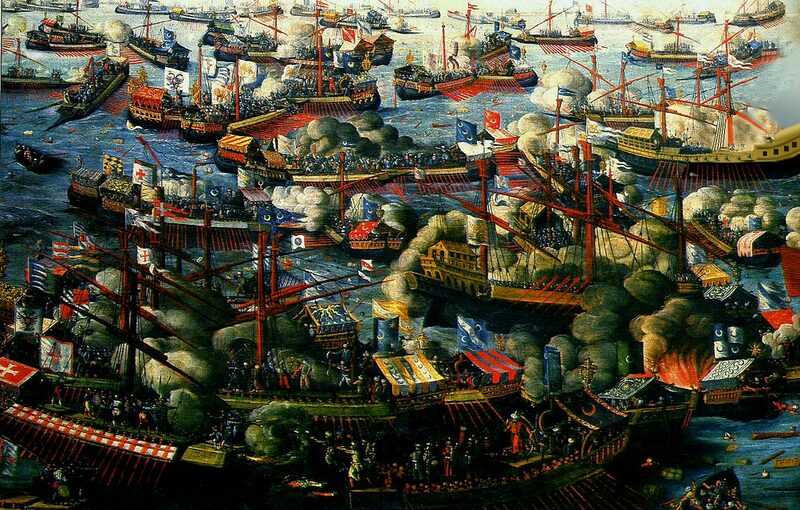 To the men of his day this place was called by its Roman name: Lepanto! Threatened in ghastly bands our few astonished men. All whom man’s quenchless hope had prompted to resist. The strength of our illustrious fathers’ thrones? Scattered the seeds of freedom on your land? Italia!Austria!Who shall save you both? The glory of our might, our conquering right hand? And, though in concord joined, what could their might avail? And to our yoke their necks in peace incline. Cry, ‘Peace!’ but that means death, when monarchs sign. Vain is their hope!Their lights obscurely shine! From Nile to Euphrates and Tiber’s towers. Captive, no more on earth thy Zion wilt behold. Nor fearing God, dost seek thine own regenerate day? In foul adultery with an impious race? Of those whose burning hope is thy disgrace? Follow the life abhorred of that vile crew? Thou lost one his right hand in mercy shall subdue? But thou, O pride of ocean! Lofty Tyre! How have ye ended, fierce and haughty brood? Your neck until this cruel yoke subdued? And causes on thy wise this blinding storm to roll. Lies your high hope.Oppressors of the free! Lost is your strength, your glory is defied. Thou tyrant-shielder, who shall pity thee? For vengeance unto Heaven before his judgment throne. “Who ‘gainst the fearful One hath daring striven?